Love the pillow top and the back is super cute too! That little dress is adorable! And I love the surprise bike print on the back of the pillow! How about Sarah for a girl and Andrew for a boy! Good luck! Can't resist suggesting baby names! For a boy I love Benjamin, for a girl I like so many: Quinn, Charlotte, Francesca (Frankie is so cute), Ava, and Maeve just to name a few. Good luck! Your pillow is gorgeous!! And the fabric on the back ... I do have a bike like this - with a basket on the front :) but in a bright red - LOL. HI. I just had a baby 8 months ago and named her Aylin after a quilter in Germany that I know from Instagram. I already follow on bloglovin and would be thrilled to win this gorgeous pillow cover! Following on bloglovin. Love your Aragon bag. Plus your quilts and your daughter. Beautiful pillow - love the postage stamp style. And baby names... Elizabeth, Emily, Hannah, Molly, Adam, Benjamin, Joshua, Alexander. Just a few I like! Love the patchwork pillow cover. Lovely cushion! I'd have been tempted to keep it with the quilt... Rosie or Robin. Following via Google+. Love your work and your artistry. Genevieve or Gwenevere for your girl.... Charles or Phillip for a boy. Heart you girl! Wishing you a smooth & joyful delivery! We named our boys Thomas & David (I love the classics). I would probably go old school for a girl, too. What a wonderful pillow ... count me in for the drawing! Thank you. Oh, and I think "May" would be a perfect middle name for a girl born this month! My kiddos are Brett Isaac and Kendra Hope. If little Boo had been a girl he would have been Hannah Faith. Congrats on your new little bundle!! 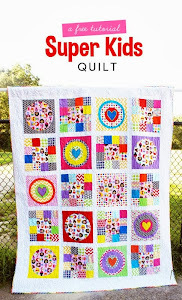 LOVE this scrappy pillow cover...your quilt is beautiful! Love baby names...my girl is Matilda. Also love Maeve, Dahlia, Orli (Hebrew for light), Gertie, Annie and Mabel. Boys names: Jonah and Judah were the only ones on our list but I also like August/ Gus, Theo, lawson. I would vote against Kevin and Michelle ... that are the names that everyone picks for their kids here (Germany) when they want to sound so "cool and international". We had a baby last year and named her Summer. Love the pillow. So cute. Thanks for the giveaway. Ps... I like the names Hazel and Hazen. Whoops...trying again, sorry about the messed up deleted post. Best luck with those uncomfortable last days! If our boys were girls, they would have been Cordelia and Theodora. I still like those names but we'll never use them! I love the name Ava Jane. Please don't spell traditional names with modern twist. In Finland, they don't name the baby for two months - waiting for personality to emerge. I don't quilt too much because while I like cutting out square after square and figuring out the engineering, I don't like sewing 81 squares together. Congrats on the upcoming baby..they are so precious! I had 6 myself and I have 15 grandchildren...so far...:) Another due this fall. If I had another boy we would have named him John Edward. Nice old fashioned name and Grace or Joanna if we had another girl. What an awesome giveaway. I like old fashioned names. I love Edward for a boy and Lucy for a girl. I follow you on Bloglovin :) Ooh, and I love Jack too. I always wanted to call my son Jack, however, with my surname, I just couldn't do it to the kid. Now I'm glad I didn't cause we ended up naming him Leo and it fits him perfectly. Good luck. Congratulations! So nice to be surprised on d-day! Picking out names is hard, especially if your husband makes jokes out of them like mine did :). How about Charlotte Elizabeth after our new little Princess???? I follow on bloglovin. Love all your projects! Baby names are hard to choose, especially boy names. I like old fashioned middle names. Best wishes!! I love the bright colors, and never seem to get around to making pillow covers even though they are quick projects (compared to a whole quilt). I'll suggest Avery as a name. How did I not figure out you had a blog till today! Love the bike fabric on the back of the pillow, it reminds me of something else you made! 😉. My baby advice is that you let me get my baby fix at guild meeting when you need a break! You amaze me with all your sewing as you wiat for your little one to arrive!!!! Your pillow is great, I love the cheerful fabrics and the bike fabric backing is perfect. We never knew what our children were ahead of time so often scrambled to agree on a name. I love the name Emma and Matthew has always been a favorite. I am partial to the names of my three beautiful boys: Reid, Corbin, and Dexter. Congratulations!! The pillow is beautiful. I love the bike print. My daughters name is Emma and for a boy I like the name Finn. This is the most ridiculously cute pillow ever!! P.S. I am following you on Bloglovin'! Love the fabric in the pillow. Baby name - Abigail. Love the Pillow cover!!! Beautiful!! Also love your Darling Model, in her very pretty dress!! So cute!! Baby names is always tricky but at the moment I love the Irish names. Unfortunately they are a nightmare to spell. Wishing you a safe delivery and a happy, healthy little one! Love the pillow cover. You are the not the first to ask for baby names in a sewing blog recently .. and I'll give you the same suggestions (since I know nothing about you or your taste in names except that you are creative and like sewing). Denim, Corduroy, Lacey .. use fabrics or colors for inspirations, or for something more subtle, name them after one of your favorite lines of fabric or designers! Beautiful! you do an amazing job! gorgeous pillow! and wishing you all the best! I love your work! thank you for the lovely giveaway - good luck w/ the new family addition - I love the names Krista and Simon. I love the bright pillow cover. So very pretty. Naming a baby is one of the hardest things, best wishes for your family. Love the pillow. I think Charlotte is going to be a popular name this next year. We named our 2 baby girls Pearl and Helen, so of course I love both those names! If they had been boys they would have been Ike, and Clark. Congrats! My girls are Eleanor and Laurel. I am following you on IG, google, and bloglovin. Crossing my fingers and toes. I could sure use a pick me up! 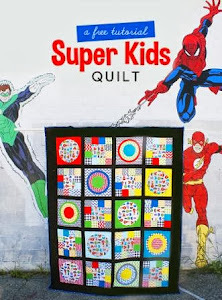 I love your color choices on your quilts, especially the star quilt! I always struggle with colors (but I am primarily clothes sewer and have only done a few quilts). As far as baby names, I strongly suggest not picking a non-traditional spelling. My daughter's name is Liisa (traditional Estonian spelling since I am Estonian) but in the US where we live we get corrected all the time. Umm, yes, I actually do know how to spell my 9-year-old daughter's name. Same with my own name, Anu. It always gets corrected and I have to spell it every time someone asks my name. It gets old. Love it!So colorful,lovely colors and patterns too.Your work is amazing!lovely giveaway,thank you for the chance to win it. Baby names are tough. I work in pediatrics, so I've seen a lot of names! As soon as I think a name is interesting and unusual, I see it everywhere! Love this pillow and the matching quilt. For a boy: Noah, Ashley, Oliver or Alexander. For a girl: Molly or Madeleine. What a lovely cushion and quilt! Ah, I remember those days well! Sarah was a girls' name I loved. I also liked Jacob for a boy. I hope everything goes smoothly for you! Very excited to be following you on bloglovin! Love your work! Good luck with the rest of your pregnancy! My sister is pregnant, so we have been discussing a lot of baby names. I think my favorite for a girl is Isla, and my favorite for a boy is Oliver. I like Benjamin and Timothy Roger for a boy....but names are so personal! For a girl I like Chelsea. Good luck to you!! Beautiful pillow and I am loving all the bicycle prints out there lately. Some of my favorite names, Jennifer, Elizabeth, Kathryn and James. How do you like Lilly or Leonard? What do you think about Journey...that never would have been my choice but I met a little one yesterday and she was just adorable! i still love the name Beatrice. My youngest would have been a Bea had he been a girl! good luck. and i follow you here and IG. Hi : ) My favourite names are Isabella, Imogen and Charlotte x Thank you for the chance to win. Oh my absolute favorite name is Isabella Rose, it sounds so vintage and dream like! My daughter had a little boy just this morning! She's thinking of naming him Rhys. How about Clyde for a boy and Charlotte for a girl? Best wishes for an easy delivery! Ooh, I love that last picture with the dark starry quilt. Don't name your baby Karen. I mean, you can, but it's not the best name ever, and I know. God luck! I love thinking of baby names! For a girl, Angelina Sophia and for a boy, Noah Richard. :) Good luck! How exciting for you! I don't have any great baby names. Best of luck! Congratulations on your new little one! My two boys are Matthew and Daniel. I have always liked Megan and Abigail for girls. The pillow is gorgeous...love the backing fabric! This is such a pretty pillow :-) I have two boys (Ollie and Simeon) but have always loved the name Sophie for a girl! I am a happy follower on Bloglovin! I have a little 5 month old named Teddy and yes he is my little Teddy bear! Your pink star quilt is gorgeous. I'm hopeless with names but currently like Lily and Olivia for a girl, and Thomas and Matthew for a boy. Being 9 months pregnant is like being a beached whale - I remember it well especially crawling around on the floor trying to layer a quilt! Love the pillow! I personally like the name Penelope (it's timeless). I am following you via BlogLovin and Feedspot! We have some friends that named their new little boy Finnley - and he is a real cutie! Wow the quilt is beautiful! most popular names here in Belgium are now : Marie & Finn, good luck! My friend recently had a little girl and named her Everley, and I really love the name Cricket (a little weird I know) My kids are Elora -13 (only ever met one other)and Riley - 2 (wanted a more original name but my husband wouldn't let me) I liked Arlo for a boy. So pretty! What about Beatrice? This is so beautiful, thank you for the chance! :) As for names.....Baxter for a boy or Noelle for a girl. :) Congrats and best wishes as you add your sweet bundle to your family! You made it in time! I am amazed by all you get done. I hope you are doing well!!! I'm the mum to Reece and Xanthe great names! What about Alice? Or Samuel? That is a lovely pillow cover! I love the name Lila for a girl and Luke for a boy! My name suggestions are: Lucy, Clancy, Eli and Matilda. For a girl I really like Clara and for a boy Eric! Love your cushion! All your work is beautiful. Very happy to have found your blog through SMS Giveaway Day! I'm a new Bloglovin' follower! Congratulations, may it be a healthy and lucky child! I adore this pillow cover. I love flower names. Holly or Jasmine maybe? I have never been able to name my babies until they were in my arms... especially since I never knew the gender before birth. Best wishes for a healthy birth! I love your quilt and pillow, thanks for the chance to win! For boy names I like Kai and Graysen. For girl names I like Ella, Lillie, Emersen, and Aspyn. The girl names are my granddaughters! I also love this pillow cover!! Annika for a girl. Issac for a boy. I love the pillow cover. The patch pillow cover is lovely! Great giveaway item! As for names, I've always loved the name Gemma for a girl and Caleb for a boy. Congrats! I've always like the names Anyah, Olivia, or Sophia for a girl. Adorable cover! And those bicycles... <3 My kids are older, so no more for me, but love the names Bailey and Liam. Congrats! Baby names - my mother gave me & my brother "boring" names so that they are easy for people to spell (this didn't quite hold up for the next two kids!) Ruth is a favorite; if I had a daughter I would think about naming her Lillian, but that's just because I knew a Lillian. I have always loved the name Charisma for a girl. The pillow cover is so pretty! thanks for the chance to win! Well for a girl I like Rikay, it's my sisters name and I have never heard before she was named this. I follow you via Bloglovin (dawn743). Your pillow top is so darn cute and would look great in my living room! Names are so hard to recommend. I love bikes! so cute. Great pillow! Baby name: Lucy. I also follow on bloglovin. Lovely pillow! My favorite girl names that we never used are Penelope and Charlotte. (Charlotte might be getting popular though, with the new princess being named that!) My favorite boy names are Silas, Oliver and Elliot. Thank you for the giveaway!